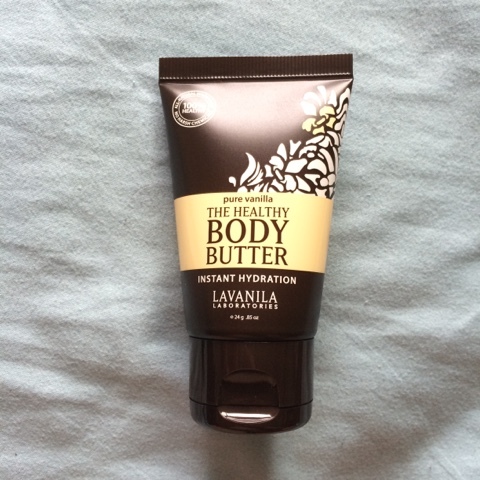 After a long break from getting that pretty pink envelope in the mail each month, I re-subscribed and took a chance at getting some products I really might use again. 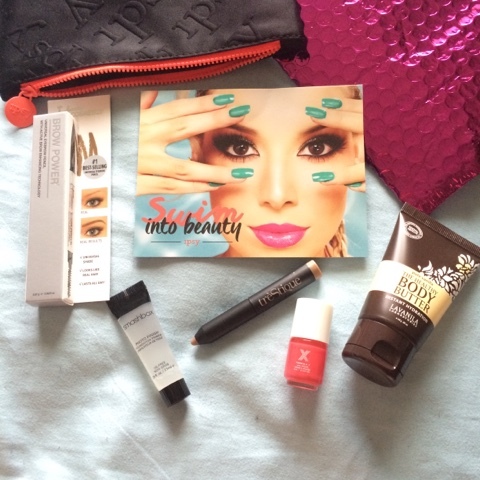 Lets take a look at my June Ipsy bag! 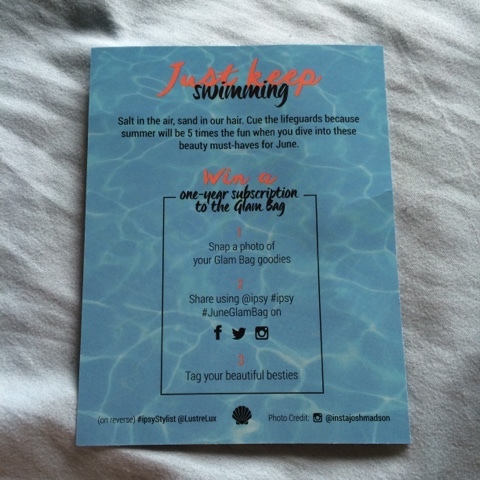 The June theme is " Swim Into Beauty," featuring summer favorites that will look great at the pool or just lounging out in the sun. Neither of which I take part in, but I think the idea is cute. 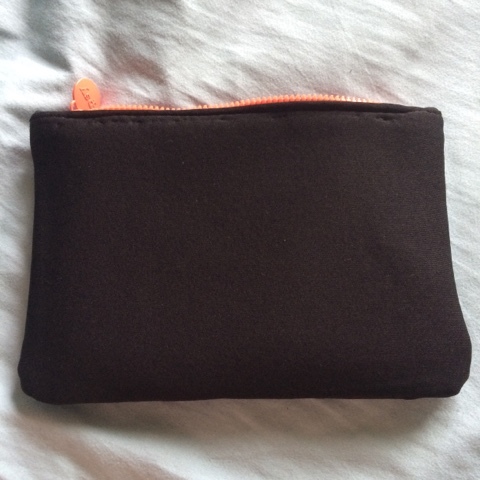 ... and the other side is solid black neoprene. So squishy! 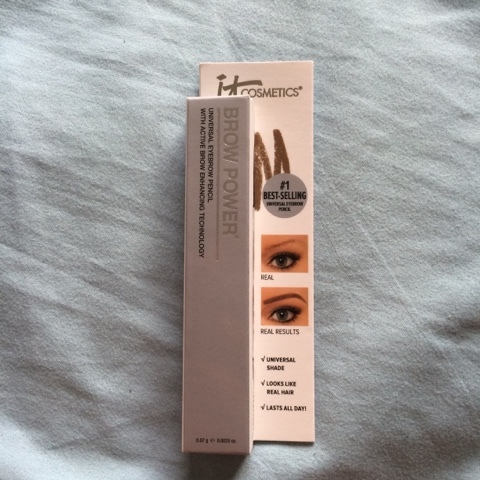 The first product in my bag is the It Cosmetics Universal Eyebrow Pencil. I received the shade "Universal Taupe," but since I have lion-king brows to begin with, I won't be using this. 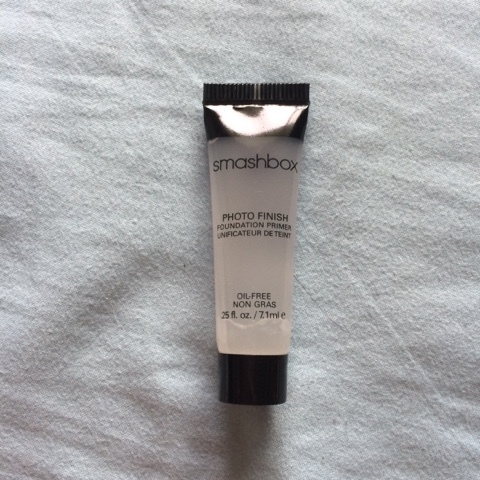 Next up is the Smashbox Photo Finish Foundation Primer, which is a staple for many beauty fanatics, but I'm not a huge fan of silicone based primers, and I already have a few to fall back on, so I won't be using this one. 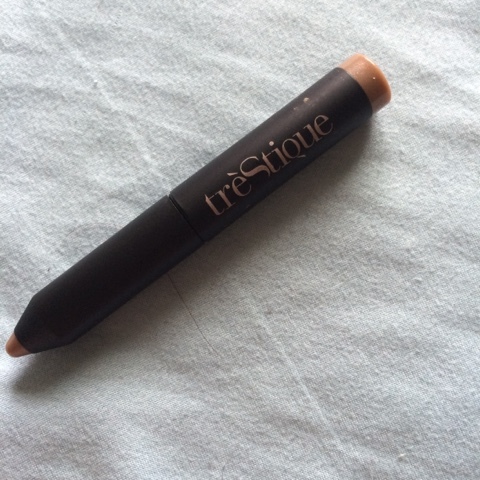 This adorable little pencil is a Mini Eyeshadow Crayon from Tre'StiQue. I received the color Venetian Gold, which isn't my first choice from the 4 shades available this month, but still a beautiful shade. This was a great pick! But seriously, this bottle is so super small! 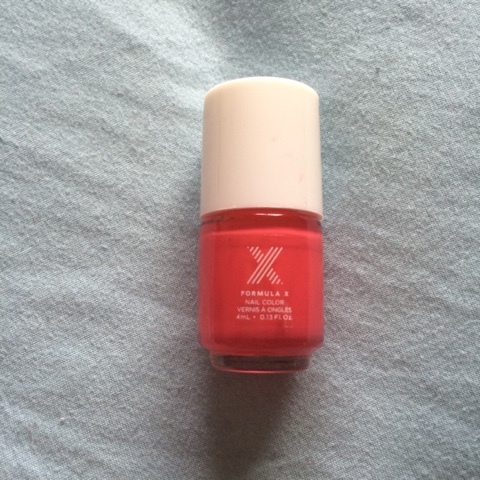 This is a Formula X polish sample from Sephora, in the shade, Power Source. This is a super-bright shade that really isn't my style, even if it is 100 degrees outside. I'm not a big fan of nail polish in the first place, so I'm pretty indifferent about this. 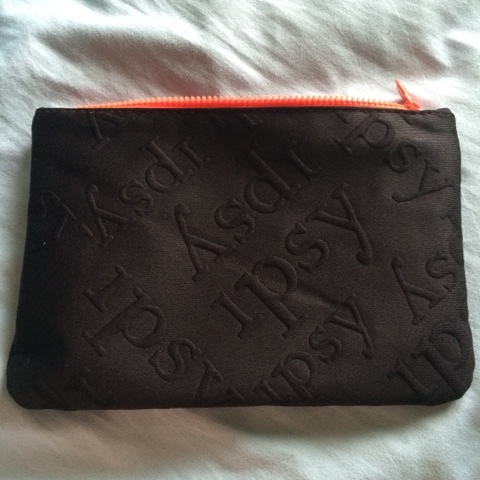 This month was a bit of a bust for me, but I'm still excited to be back with Ipsy and see with July brings to the plate!